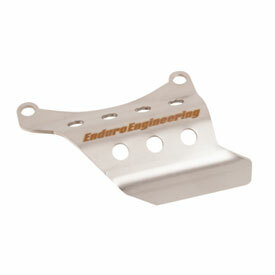 Protect your vulnerable oil cooler line with the Enduro Engineering bolt on guard. Does what its sposed to do. Enduro Engineering makes alot of neat accessories, but this one wasn't for me when I realized I'd have to remove two (2) retaining screws for the clutch cover every oil change.